Bradycardia, which is a condition pertaining to slow heart rate, affects from the very young to the oldest, although geriatrics are mostly diagnosed for this heart-beat irregularity. It has been estimated that nearly 600,000 people across the world receive treatment for bradycardia, commonly caused by a problem with the S-A node or an issue in the electrical pathways of the heart. The global bradycardia market involves the diagnosis of the condition and the treatment. For diagnostics, electrocardiogram (ECG) tests are performed, which are readily opted by the patients as they are painless. For the treatment of bradycardia, pacemakers are most commonly used, which can be customized according to the need of the patient. Depending on individual condition, a pacemaker may replace S-A node signals, help in maintaining the normal timing sequence, and enable lower chambers of the heart to contract at a required rate. With technological advancements, latest ECG tests and pacemakers are quite accurate and dependable, and hence the demand in the bradycardia market is expected to expand at a healthy CAGR during the forecast period of 2017 to 2025. 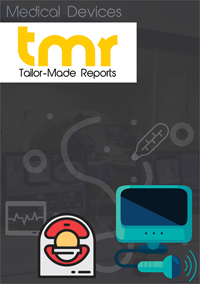 This report on the global bradycardia market provides quantitative and qualitative evaluations of the market in its current scenario and estimates the future state, based on in-depth assessment of all the factors that may impact the inflow of the demand in the near future. The report also profiles a number of key companies in order to represent the competitive landscape. Bradycardia, also known as, bradyarrhythmia is one of the most important cardiac diseases. Bradycardia is a medically abnormal state of heart in which the pulse rate (heart beats) is less than 60 beats per minute (BPM). Bradycardia, in simplest sense, is a condition, in which heart shows decline in its efficiency. If heart shows around 50 BPM, it brings symptoms like tiredness, weakness, fatigue, dizziness and skin fainting. This is considered as symptom of heart diseases. Further, if the heart rate is less than 40 BPM, it must be taken seriously to treat. Bradycardia is caused due to various cardiac and non-cardiac symptoms. Non-cardiac symptoms mainly include abusive drugs consumption, endocrine and metabolic dysfunctioning, neurologic factors and electrolyte imbalance. Further, prolonged sleep and autoimmune response are the other major causes. Whereas, cardiac caused include valvular and vascular heart diseases, ischemic heart disease and cardiac arrhythmia. Bradycardia is usually diagnosed by pulse rate monitors and ECG. The global bradycardia market is segmented on the basis of two parameters: the types of disease and therapeutic treatments. On the basis of types of disease, it is divided into ventricular, atrioventricular nodal, atrial, and infantile bradycardia. On the basis of drugs and therapy, the market is segmented into epinephrine, dopamine, adrenaline, levsin, and atropine. Hypothyroidism treatment is also useful in bradycardia, which includes liotix, liothyronine, and levothyroxine. Although drug therapies are largely available, the usual and core therapeutic aspect is pacemaker installation. Pacemakers are considered as the prime therapy for bradycardia and arrhythmia. Drugs and pacemaker therapies are used specifically when the heart slows down to lower than 50 BPM. The global bradycardia market is segmented on the basis of geography, into North America, Europe, Asia-Pacific and the rest of the world. The North American region has so far been the dominant one in the global bradycardia market, owing to a fast rate of growth in its number of bradycardia patients. On the other hand, Asia-Pacific and RoW regions are showing a lot of promise for growth over the coming years, owing to a rise in awareness of diagnostics and monitoring in cardiac diseases and the growth of medical infrastructure. The global bradycardia market is expected to grow are a very fast pace during between 2017 and 2025, likely to be driven by factors such as the increasing prevalence of cardiac diseases and bradycardia, extensive R&D efforts, and a rise in awareness of cardiac disease monitoring. Other factors such as the evolution of medical and healthcare infrastructure and growth in medical expenditure in emerging economies are also promoting the global bradycardia market’s growth. According to a report published by the U.S. Centers for Disease Control and Prevention (CDC) in 2008, the prevalence of bradycardia was in close to 15% of males and 7% of females from the total U.S. population. Extensive R&D practices are consequently being conducted, further benefittin the global bradycardia market. Considering the growth opportunities in the market, pharmaceutical companies and medical devices manufacturers have taken a serious part in the bradycardia R&D practices. However, key restraints to the global bradycardia market include lack of awareness and tendency of ignorance towards the symptoms, especially in emerging economies from APAC, The MEA, and Latin America, and the generally high cost of pacemaker-based treatments. Key players operating in the global bradycardia market include Medtronic, Inc., Boston Scientific Corporation, St. Jude Medical, Inc., Mayo Clinic, and UMC Utrecht Holding BV.